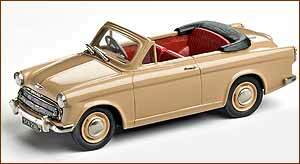 1956 Hillman Minx convertible by Lansdowne Models, finished in honey beige. 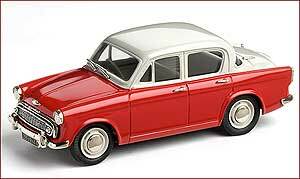 1958 Hillman "Jubliee" Minx - Factory Special from Lansdowne Models. 1:43rd Scale model hand built in England, in heavy white metal. 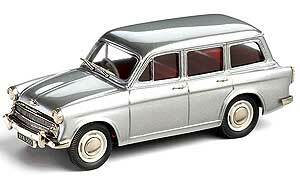 The new Series 1 Hillman Minx was launched in 1956 and demand quickly exceeded supply. The station wagon followed in June 1957, only to be replaced by the Series 11 Jubilee range two months later, meaning the Series 1 Estate had a very short production run indeed. None of these early wagons are thought to have survived although the station wagon version remained unchanged bar trim details in both Hillman and Singer variants until 1962. 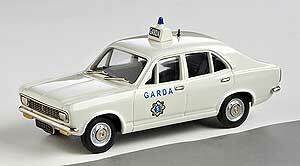 This Police Vehicle would have been a common sight on the Irish roads during the 1970s.